A group of experienced high-level entrepreneurs in Manchester are joining forces to form the Manchester Tech Trust (MTT), a not for profit organisation which will provide the missing link in Manchester’s dynamic technology enterprise landscape. 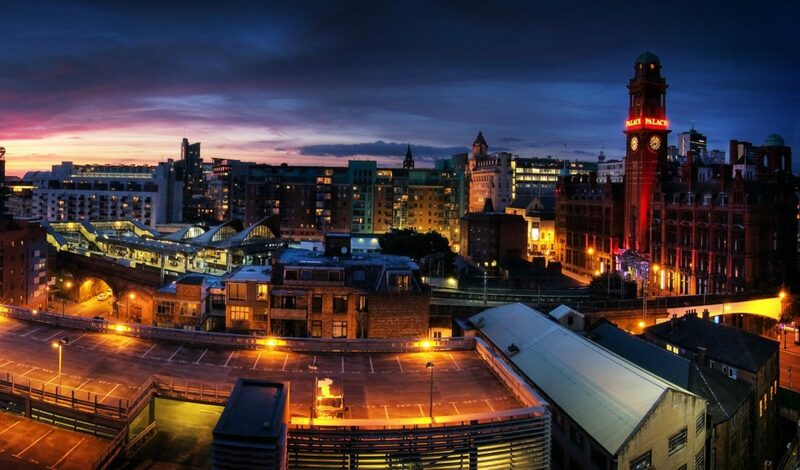 MTT aims to be a ‘super-connector’, linking up investors drawn to the city’s growing economic development and the Northern Powerhouse concept, with the city’s start-ups, among them businesses spun out of its universities. Motivated by the same philanthropic spirit as the Victorian business leaders who drove the campaign and finance to build the Manchester Ship Canal, the trust is a gateway to match entrepreneurs with appropriate support, services and investment opportunities. The primary tool to facilitate this will be a comprehensive and searchable online resource which will signpost sources of funding at every stage of business, across four levels, to connect with the most appropriate funding sources. Due to go live on November 5th, the website will also act as an information portal for investors and workspaces, and develop a register of experienced mentors and supporters willing to provide advice and guidance to the city’s next generation of tech entrepreneurs. Greater Manchester has a diverse range of technology sectors, and assessing its value and size is complex. The Manchester tech sector is thriving and but still has yet to reach its true potential. The digital and ICT industries account for 45,800 jobs in the Greater Manchester area and generate £2bn a year in economic output. Given the right support, the digital industries in Greater Manchester are forecast to grow by over 72% by 2025. The low carbon environment sector is worth £5.4bn to Greater Manchester with 37,000 jobs and 2,000 companies, and the life sciences industry provides £4.7bn GVA to the city region. “Manchester is a tech enterprise hot-spot with lots of assets and activity. There is a tangible buzz in the city as investors in technology and digital seek to know more about the Northern Powerhouse and the opportunities around our advances in materials science, notably Manchester University’s new graphene facilities. The MTT’s formation was informed by a piece of research undertaken last year by its CEO Peter Lusty and Mr McArthur which mapped the city’s complex landscape of digital and technology bodies, associations and network. The report, Technology Enterprise in Greater Manchester, concluded that in order to reach its full potential, Manchester’s thriving tech sector needs a more joined-up approach. MTT will also work with the public sector agencies to raise the profile of the city globally, with a pro-active and passionate campaign to communicate the benefits of doing business here in the tech sector. The MTT website www.manchestertechtrust.com will go live on November 5th.